Billbergia Windii a very old hybrid bromeliad with green and silver leaves. Grows as a epiphyte or as a terrestrial. 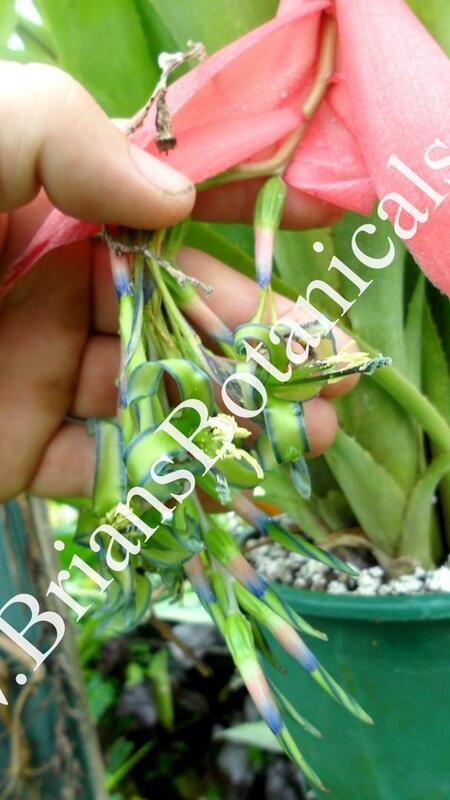 Extremely dramatic pendulous flowers hand from the plant with pink sheen’s and yellow green and blue flowers. Great for hanging pots mounted displays or in the tropical garden.